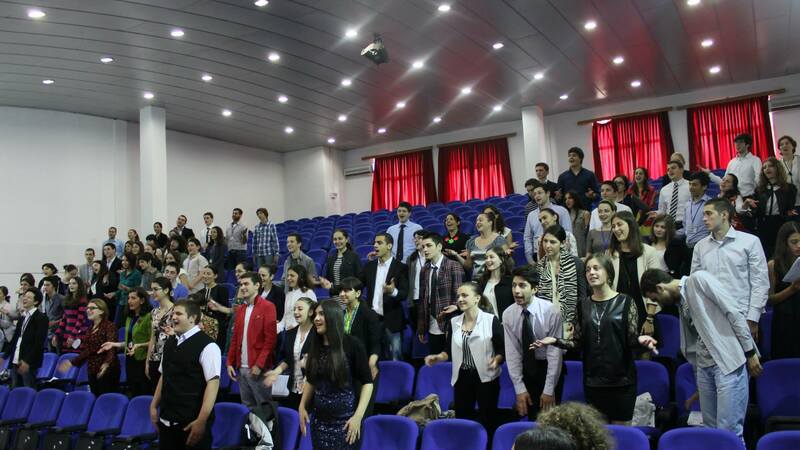 The 7th National Selection Conference of EYP Georgia was held in June 6-9 ,2013 in Tbilisi. The Number of the Delegates was 89, which included students from Tbilisi and from different regions of Georgia. The Head Organisers of the session were Ms. Veriko Devidze and Ms. Keso Antelidze. Ms. Mariam Lataria, Ms. Ana Mirianashvili, Ms. Natia Nanobashvili, Ms. Nini Danelia, Ms. Ani Meskhidze, Ms. Niniko Lekishvili, Mr. Lasha Vashakidze and Mr. Koka Kapanadze. The President of the session was Ms. Monika Ghosh. Ms. Tamar Matiashvili, Ms. Salome Kandelaki, Mr. Davit Lomidze, Ms. Milana Ibrahomova, Ms. Nanuka Gurgenidze, Ms. Mariam Chubabria, Mr. Vladimer Utmelidze, Ms. Nini Gigani, Ms. Tamta Gelashvili and Mr. Ioseb Jorjoliani. The Editors of the Session were Ms. Sofi Bokuchava and Ms. Ria Farkas.